I had had plans for this weekend! On Friday I saw my dad and we went for a ride and talked about everything. He stopped near one park and we went to see his boat place. We talked about everything important and not so important as we walked and enjoyed the warm day. We then headed back home. I had packed my bag for the sleep over. As we got home I got my things on their places and switched on nicer clothes. We went to the balcony to talk about everything and my dad called to my brother. After that we continued talking and just enjoying the evening sun. We heard that there was some band playing in the Hämeenpuisto, so we decided to go to listen to it. I changed my clothes and we left to Hämeenpuisto. There was a band playing on a stage but we only got to hear a few songs before they stopped. There was a small market place there also but all the stands were already closed. We walked through the market and back to home. My dad’s wife was away for a night out with her girlfriend so we had the whole night with each other and we got a chance to talk after a long time. We ate and after that we started to watch a movie “Braveheart” on the couch. The movie was so long we got tired and we recorded the rest and went to bed. I still watched some TV before I turned over and started to sleep. I saw a lot of dreams but the night went well. My dad’s wife had come while we were sleeping and they had gone to work while I was still sleeping. I woke up late and made breakfast while watching TV. When my dad and his wife got back we hang around and talked about everything. I then got my things ready and waited for the bus to go back to my mom’s. We said goodbye and I left. I went for a walk after I got home just to think about everything and to clear my mind. 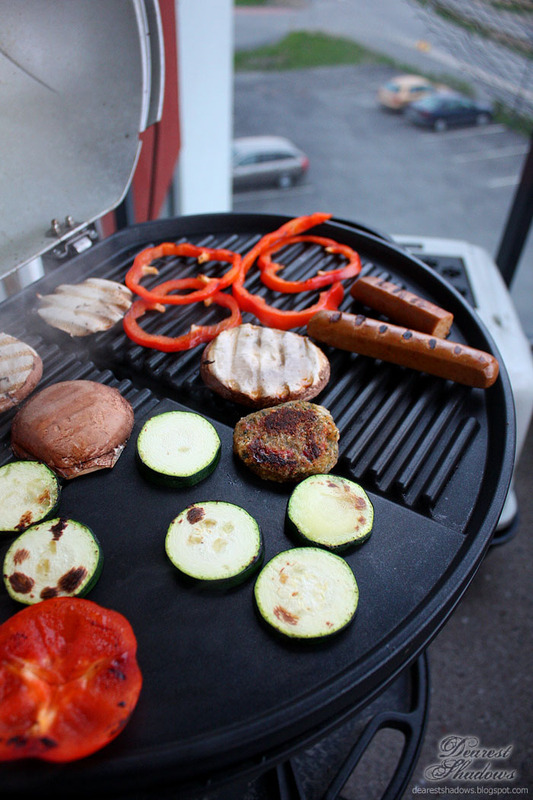 After I got back home we started to make food before the Eurovision contest we were about to watch with my mom. 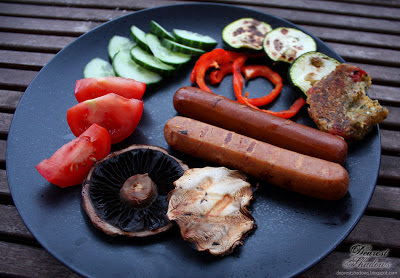 We put on the grill and grilled everything from vegetables to soy wieners.